When Novartis sold its health nutrition division to Nestlé, David Yates (President of North America) knew they could be in for a stormy transition as he became head of a division that was once his fiercest competitor. As with typical M&A situations, these leaders were uncertain and held strong beliefs about the future for their new organization that prevented them from coming together as one team. 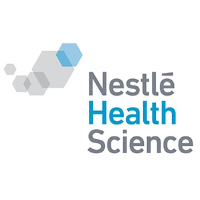 Bring a team of 50% former Novartis employees and 50% Nestlé employees together to create one new team for success in delivering nutritional therapies for aging, brain health, chronic medical conditions, critical care and surgery, food allergy, metabolic diseases, pediatrics, and obesity. Shift from tension, anger and disdain — to respect for one another. Turn contention into collaboration and deliver to business impact. The solution was focused on creating One Team and included a strategic rollout of our Pathways to Leadership Process across multiple teams in targeted time period. One Team: Yates’ credits the process with getting the team to that ideal outcome two years earlier in their development. The success of that session sent waves through the organization and they went on to provide an additional 20+ sessions to members of the team beyond Senior Management.